Acupressure is an effective way to stimulate acupuncture points at home. Although not as effective as acupuncture you can still help treat symptoms and get some relief. There is no limit to the number of times a day that you stimulate a point. You can massage these points on yourself or have someone help you massage these points. This point can induce labor and should not be stimulated if you are pregnant. This point is good for stress, headaches, toothaches, facial pain and neck pain. 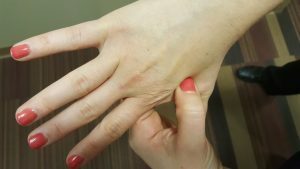 This point is located in the webbing between your thumb and index finger. 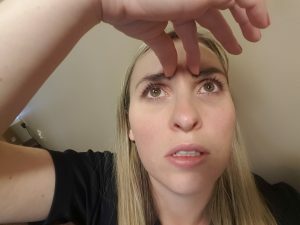 This point is good for sinus congestion a/or headache, red, itchy, watery eyes – allergies. This point is good for fever, sore scratchy throat, red rashes, hives, acute, hot inflammations such as tooth abscess or other type of infection, high blood pressure, hyperactivity, anxiety and boosts your immune system. 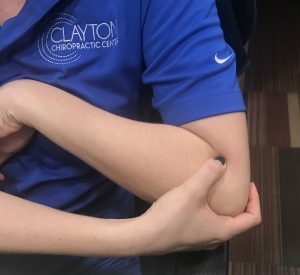 This point is located at the outside edge of your elbow crease. 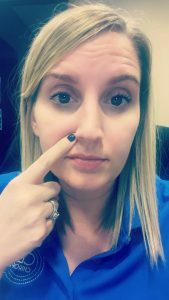 This point is good for nasal discharge, any nose a/or sinus issues, nasal polyps, rhinitis, sinusitis, allergies. 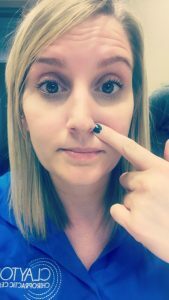 This point is located on the side of each nostril. Any eye problem – red, painful and/or itchy eyes, excessive lacrimation, twitching of the eyelids, and sinus pressure. 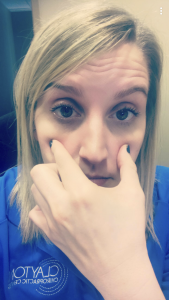 This point is located in the center of your cheek bones, directly under your eyes. 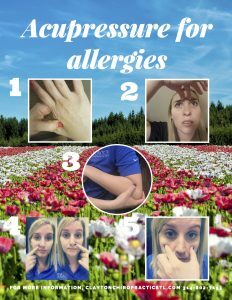 If you would like more information about acupuncture and how it works for allergies check out this blog!